We’d love your help. Let us know what’s wrong with this preview of Fantasy Genesis by Chuck Lukacs. To ask other readers questions about Fantasy Genesis, please sign up. 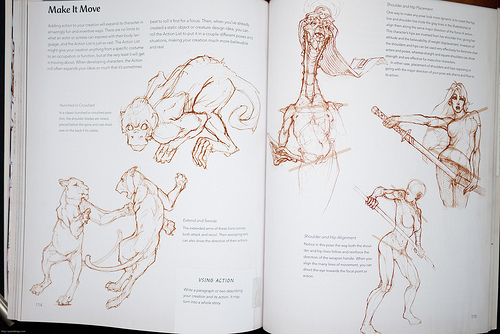 This is one of the more unique instructional art books that I've seen, and it's incredibly fun. Fantasy Genesis is based on the familiar dice-rolling type of games. 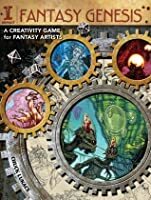 Using a series of dice rolls, you'll pick subjects from one the many themed sets, mix and match to come up with your own ideas, creation and drawings. Here's a quote from the book, "The challenge (and the fun) is to meld seemingly unrelated and everyday elements such as a caterpillar, seashells, fire or a hammer into exceptionally curious, grotesque, oddly beautiful and totally unexpected creations." There are sets covering animals, vegetation, technical, elemental and mineral subjects. Each set has a few list with keywords to choose from. There are even list for emotions and actions. Basically, countless number of combinations and creations are possible. Over 40 step by step mini-demonstrations are included to illustrate basic techniques for drawing fantasy elements and forms. The illustrated examples by Chuck Lukacs are not only inspiring but very beautiful as well. They show the potential for really exciting possibilities. One thing to note is the dice which are not included. The recommended ones are six-sided, four-sided, eight-sided and a twenty-sided. A website is provided where you can find them, at a price I think is relatively high. Or you can try looking at hobby stores for cheaper dice. This book makes for a marvelous reference on fantasy art. 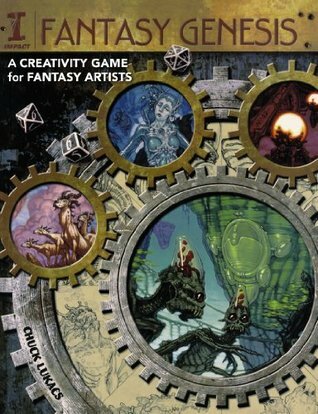 Highly recommended to all fantasy artists. Really kind of a genius idea. I kind of want to send copies to several of my artist friends. The book is first and foremost a way of getting creative juices going and of helping to come up with some very original combinations, and it's quite fun in the way it goes about it. Lukacs is impressive as an artist, and if you really read through the book he has a lot of good tips. I actually wish there was even more instruction in it. He has a lot of good observations and notes about drawing some of th Really kind of a genius idea. I kind of want to send copies to several of my artist friends. One of my favourite artistic resources. A book that focuses not on how to draw, but what to draw. using a dice rolling system it helps artists think of new and interesting fantasy subjects to create. It's great for getting through art blocks. I ADORE THIS BOOK! It's fantastic for sketch exercises and for when you need to come up with something absolutely wild. I've seen it used with great success in a teaching environment, too, as an aid to help kids broaden their outlook on what a fantasy creature can be.